La meilleure valeur pour votre dollar. Une maison d'adobe de 2 chambres très agréable, propre et entièrement rénovée dans le centre-ville de Marfa pour moins que le coût d'une chambre d'hôtel! Il y a une fierté de propriété dans cette maison et ça se voit. Nous voulons que vous soyez à l'aise lors de votre visite à Marfa, au Texas. Parfait pour célibataire, un ou deux couples, petites familles ou groupes d'amis! Savon, shampoing et sèche-cheveux fournis. The two bedroom house was perfect for our adult sibling getaway. The purpose of our trip to Marfa was the Chinati Foundation art, but relaxing with my brother and mother was the best part of trip. Our hosts gave a list of grocers and restaurants to accommodate our food needs. Chilling for a few hours over coffee in the morning was a treat. The house was clean and comfortable. Thank you. This is the second time friends and I have rented the Brown House while visting Marfa. It is always neat and tidy, the beds are comfortable and we particularly enjoy the large dining/kitchen area for hosting other friends while in Marfa. The location is convenient to walking everywhere within town. Ashley is very responsive to communication and any needs that may arise while we're there. We will be back again!! You can't beat the location, so close to the courthouse and the main street with galleries, hotels, and restaurants. The kitchen looked to be fully equipped, we ate out during our quick trip. Comfy beds and pillows. Great place for a visit to Marfa! 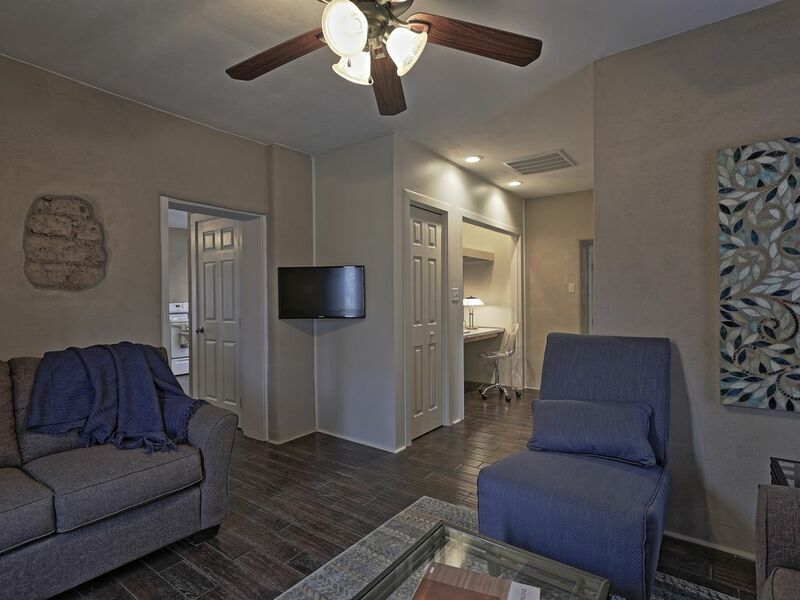 Great home super close to downtown Marfa! Loved having a backyard & a full kitchen! Our host was great at communicating with us, & even provided info like maps & ideas for where to go eat! Very cute place that was immaculate. Walking distance to main street and great restaurants. Perfect way to see Marfa. Great cozy, cute & comfortable home! Our family of four really enjoyed our two nights here while on spring break. Updated and in convienent location. Would stay here again. Mgmt also very responsive to any questions. 5 stars!